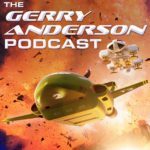 Gemini Force One Kickstarter Campaign means Gerry Anderson Lives On! 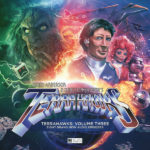 Hundreds of Gerry Anderson fans from all over the World came together throughout September and early October to help drive forward the great man's legacy. Gemini Force One (or GF1 for short) is (initially) a series of books. 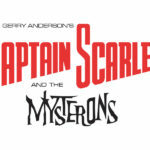 The concept and story were originally written by Gerry Anderson starting in 2008. GF1 follows the story of a secret organisation involved in rescues and averting disasters and terrorist events. The long terms aim for GF1 is to turn it into a film or television series: Gerry Anderson's ultimate goal for GF1! Gerry was unable to complete the first book due to rapidly worsening Alzheimer's Disease which stopped him working in 2012, before his untimely death in December 2012. To get the book completed Gerry's younger son, Jamie, has selected best-selling author MG Harris to help complete the first book in the way that Gerry wanted. With the upcoming 50th anniversary of Thunderbirds entering production (2014), we thought it would be the perfect time to release GF1. The project was successfully funded using the crowdfunding website Kickstarter - raising 137% of its goal.